Essay titles are important: they are the first thing your reader sees before actually beginning your essay. They also tell the reader what to expect. Think of your essay title as a banner: it tells the world what it is you’re all about. A good title will get people interested in getting to know more about you—the same way a banner will draw people in who find it to be compelling. So that’s the first thing you should know about writing an essay title. But what else? A title should be an accurate representation of what follows. For instance, if your essay is formal and scholarly, a flamboyant or silly title would be out of place. If your essay is persuasive, a title that fails to convey a point of view will not do justice to the essay that follows. The point here is that your title should give the reader a sense of what’s in store for him or her. At the same time, people who write effective titles typically try to keep a little bit of info in reserves—so that your reader actually feels compelled to read on. Hint: If your title says everything your reader needs to know, two things are likely to be true: 1) Your essay doesn’t need to be read, and 2) Your title is too long! Titles inform. Titles attract. Titles repel. Titles signify. People say not to judge a book by its cover—but in many ways a title says a great deal about the work that follows. Keep that in mind as you decide on what to title your paper. 2) It sends signals about the creativity of the writer—so be creative. Titles don’t have to be dry and boring! 3) It tells what the essay is about—so be sure to drop at least a few clues as to the subject of your paper. Try crafting your essay title in the form of a question. 4) It drops hints as to the perspective of the author—so don’t be shy about letting the reader know your position up front by inserting it in the title. Use your title to make an assertion about a particular subject. 5) Titles are first impressions—so give a good one and be sure your reader will want to come back for me (i.e., read the whole essay). 6) The title is the crowning point of your essay—make sure it stands out like a flag atop Mt. Everest so all can see it! Use a quote that relates to your subject as part of your title: something like—“Go West, Young Man!”: How Horace Greeley Shaped America. 7) A title should be exact—so don’t create a title that really does not relate to the essay. 8) Titles should motivate—so construct a title that acts like a front door to your essay—one that people will want to use. 9) A title is an opportunity—so don’t take it for granted or squander it: you only get one shot! Use all the tricks that language offers—such as alliteration, assonance, consonance, imagery, metaphor, simile, and so on! 10) Best of all, a good title will immediately reassure the reader that what follows will be worth his or her time—so be confident when you create your title. How does it do all this? Simple. The title is the best hook you have. It brings home the big fish. It can also inspire you to make sure your essay measures up to the title. For more help, the University of Minnesota offers some great tips on how to create a super title. Before beginning your essay, consider some great titles to help you get started! How do you define a great essay title? Is it short and sweet? Long and informative? Does it hint and lure through mystery? Or does it hit the reader square in the face with a bold proclamation? Does it go for a scholarly sound? Or should it be low-brow and try to win audiences with humor? Well, there is no right answer. Many great titles have been defined by affirmative answers to each of these questions. For instance, think about some of the great titles of films over the past few decades. Some are short, others are long; some are bold, while others are only suggestive. There’s the one-word title: Speed, Rocky, Casablanca. The long title: The Assassination of Jesse James by the Coward Robert Ford. The intriguing title: The Dark Knight. The bold title: There Will Be Blood. What makes these titles work is this: each one encapsulates what the narrative is all about. The action film Speed was a fast-paced thrill ride and the one word title neatly summarized that feeling. The biopic of Jesse James took a long title to neatly project the depth and nuance that the film provided the viewer. Nolan’s Dark Knight promised something new with its unique Batman title and delivered. Your essay title should do the same. Your title should reflect the essence of your essay. Don’t be afraid to be original! Originality is what readers are looking for after all. Titles that seem stale and trite aren’t going to attract a lot of attention. If your title rings like a bell, on the other hand, people will stop and notice. Alliteration is a great way to make your title flow. A title is a short grouping of words and—just like in a dinner—things that go together or pair well make a greater impact than things that don’t. How does that work? Think about a five course meal that you’ve enjoyed. It had a nice selection of wine that paired well with the main course, and the sides went with the main course in a complementary way. It all fit together. The same should be the case for your words. Let your words pair well: Use same sounding words—or words that start with the same consonants or vowels. Titles don’t have to be as prosaic as the rest of your essay. They can have a poetry all their own while still retaining their formality. The more easily and naturally they go together, the better your title will sound. Don’t force it! Just because you can use big, fancy words, it doesn’t mean you should. Sometimes writers become over eager in their desire to display their ability to use a dictionary or thesaurus. Sometimes they want to show off and let everyone see just how great their vocabulary is. It’s not necessary. No one is really impressed by writers who show off. In fact, good writing is really all about subtlety and nuance. Great writing is like a bottle of wine: full of secrets and hints and notes! A title should emanate from out this same spirit. It should not be applied like a gaudy label to an essay that you have taken time and care and consideration to create! With that in mind, a title should be comparable to the essay to which it is attached. The essay is the meat. The title is simply the label. If the meat is no good, it won’t matter at all how neat your title is. If the essay is fun—give it a fun title. If the essay is serious, a more serious sounding title would be appropriate. If the essay is persuasive, put some punch in your title. If your essay is argumentative, give a title that takes a stance. If your essay is descriptive, put some good descriptors in your title. The best title for your essay will depend on the essay you write. HOWEVER—that doesn’t mean you have to write your essay first! Sometimes coming up with a great title is a good way to start writing your essay. A title will help guide your thoughts. Still, it is important to remember that titles can be revised just like essays. After you writer your essay, go back and look at your title. Make sure the two still fit. If the title needs to be adjusted, do it. Make sure it connects to the essay! Depending on the type of citation method you are using, your essay title format will alter significantly. For APA style papers, the title appears on its own page above information about the class, professor and your own name. MLA style papers place the title below this information on the same page as the opening paragraph. For more information, follow this link to see examples of how title pages look for all the different citation styles. Always center your title on the page. No quotation marks around the title (only use them if you are quoting something in your title). Do not italicize your title. Do not underline your title. Do not bold your title. Here are some example essay titles to help give you a more concrete idea of how a title can look. You’ll notice that a lot of these titles have two parts—an introductory part that puts forward a theme or a topic—and a secondary part that is preceded by a colon. The colon helps to segment that thought processes within the title. This means you can toss out an idea—say, a question or a quotation or a subject in a few words—and follow it up with the main idea or essence of your essay. Be crafty! Find a quotation you like that summarizes your position or your thesis. Use it in your title as a way to draw attention to your ideas. The fact that you can incorporate what others have said into your own title shows that you have relevance! You can quote anything from movies to Shakespeare—it is all fair game! All Work and No Play Truly Does Make You a Dull Boy! Who Let the Dogs Out? : The Dogs of War are Still Baying in D.C. Does the Death Penalty Work as a Deterrent? Why is Health Care in America So Expensive? Essay titles don’t have to be long and they don’t have to be short. They can be whatever you want them to be. Use your title to pose a question—or use your title to make an assertion. Be creative. Capture your reader’s interest by capturing the essence of your essay in your title. However, try not to give away too much! If you tell your reader what your essay is about in your title, don’t tell him how you will prove it. Or if you just hint at the topic, provide a hook that lures the reader in. Keep some surprises back for the actual reading. The title should be your way to get the reader wanting to read more of what you wrote. So use it to give some idea of what your essay is about—but don’t give it all away! The title is like the prelude to a dance: it sounds off the first few notes. Those notes should lead one right into the music. If your title is disconnected from the essay in terms of style, subject, intent or focus, the reader will feel misled and might even stop reading altogether! Let the title speak for the essay. Let the essence of what you’ve written come out in the title you create. Be bold, be original, be on topic, and show awareness of how words can flow together nicely. If you’re still struggling, identify the keywords of your paper—the most important aspects of your subject—and write them down. Then see if you can arrange them in a way that makes sense. This, too, can be an effective way to create a title. ONE LAST THING: a title is like the ribbon and bow on a gift package. It won’t make what’s underneath any better or worse. It can add shelf appeal. It can attract. It can make every kid’s eyes light up with wonder and joy. It can also repel—especially if it’s applied shoddily. So when you go to stick on that title, be cautious. Be considerate. And be careful. The more attention you give to it and the more that you just let that title hang on their naturally, the more it will work in your favor. Remember: You need that title—and you should try to make it a good one so that it serves the essay well. "How to Create Great Essay Titles (Without Giving Away the Ending)." Aceyourpaper.com. Student Network Resources Inc, 17 July. 2017. Web. 20 April 2019. Student Network Resources Inc. "How to Create Great Essay Titles (Without Giving Away the Ending)." Aceyourpaper.com. https://www.aceyourpaper.com/essay-writing/essay-titles/ (accessed April 20, 2019). 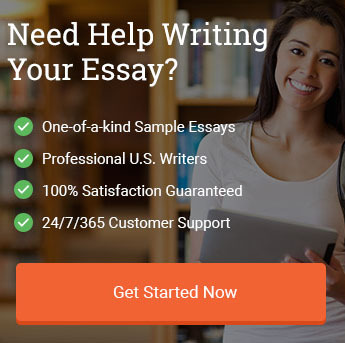 Are essay writing services ethical?